Most companies use marketing in one way or another. But despite that fact there’s one element that seldom comes under examination. People often forget that marketing research companies are just as competitive. And there’s a lot to learn by examining them. 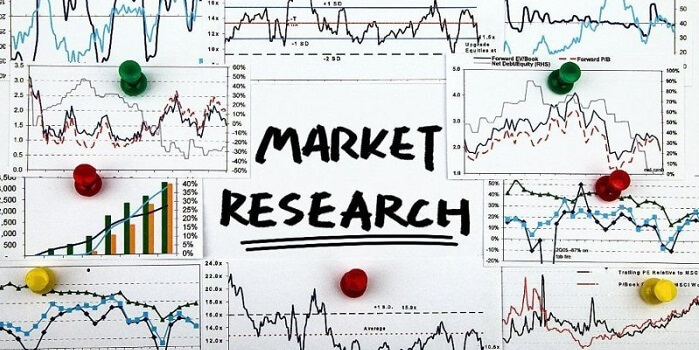 In the following article we’ll examine the best market research companies. We’ll use overall revenue as the primary metric. But additional factors such as influence or inventiveness can raise a company’s overall ranking. GfK began in and continues to center around Germany. But it serves as an example of international profit and growth. More than anything they show how companies can grow to match the times. In fact, GfK's international success and longevity might relate to each other. This is because GfK's founding was back in 1934. It shows that GfK endured some rather difficult periods. While at the same time growing to match new markets as they became available. They’ve ended up as fourth largest market research company in the world. This isn’t fully reflected on list placement. In large part because longevity and ingenuity aren’t always the same thing. One can say something similar about overall influence. They’re a powerful and successful company which has stood the test of time. But they’re also fairly standard when it comes to business. They work with fairly general market analysis that doesn’t stand much apart from the crowd. But they’re still quite good in overall performance. Westat is one of the smaller companies on this list. They’re valued at $503 million, which is still quite impressive though. And their significance has a lot to do with the nature of their market research. To be sure, many of the other companies work within important industries. But Westat primarily focuses on government policy. They’re the main player when government agencies need to know whether any given policy tracks or not. It's also proven their value when it comes to predictive analysis. While Westat might not be the richest company on the list, they’re among the most powerful. One can easily see how influential a company like this is. Ipsos is among the best market research companies due to overall reach. The company began in Paris. But they’ve come a long way since that 1999 founding. And this is why it has a ranking among best market research companies. Ipos managed to launch itself into the worldwide market at a time when most companies never stepped out of line. They were able to do so despite still remaining a comparatively small company. The main reason comes down to expert resource usage. And this is the main lesson they have for people. They sold part of the company to aid in their initial expansion. And later leveraged those resource to purchase international companies. This was quickly earned back and turned into pure profit and expansion. Kantar is a data investment management. It serves this function as a larger part of WPP. As with many options its large size means there are several operating divisions. Kantar consists of 12 different areas. One of the best known competitors is Neilson. They'll receive attention later in this list. However, again one must keep their larger divisions in mind. It’s not just the fact that they’re a multi billion dollar company which places them on the list. Their inclusion among best market research companies is just as much for their organization. The Kantar Group division into separate operating brands is a prime example for others. It shows how one can leverage existing resources in new ways. IRI might not be a household name. But they rank so high due to the fact that their market research is. They’re among the best market research companies due to focus on consumer packaged goods. Basically, when one goes into a grocery store it’s IRI that’s influenced stocking decisions. The company went public in 1983. And they’ve risen in prominence as much of the products they work with did the same. It’s clear how powerful the company is. Even more so when looking at their 3,600 employees. But it’s really their work with one of the most important industries which places them so high. People tend to largely survive on packaged food and drink these days. As such, IRI holds a lot of power. Medicine is more of a business than many people realize. But when people talk about the various industries involved with medicine they often forget something. All of those industries have profits centered around medicine. And knowing where to focus involves solid market research. This is where IQVIA comes in. They were originally called Quintiles IMS Holdings, Inc. It's little wonder that they'd change their name given a creation date of 1982. Since that time they’ve amassed over 50,000 employees. And a net worth of over $6.9 billion. Their ranking among best market research companies is in large part due to durability. The company has risen to the top in a very competitive industry. But they’ve kept that position for decades. The pick for top ranking isn’t nearly as difficult as one might suspect. Among the best market research companies there’s a clear leader. The worldwide entertainment industry is one of the single most powerful markets. And the US leads the world in terms of movies and TV. But it’s Neilson which really controls this market. They’re one of the few companies in this list which might catch the eye of an average person. Neilson Market Research is best known for Neilson ratings. In fact, they’re so well known that the term “neilson family” sprang up to describe households working with them. In the beginning a Neilson family used fairly involved methods to report back to Neilson. But today most of this is fairly automated. But the end result is the same. The company provides accurate and detailed information about people’s viewing habits. This in turn is what’s usually used to make or break a TV show. Finally, one might well focus on the differences between the companies. But there’s far more in common than different. One should consider that all of these companies work with similar markets. In the end, they’re all working with the public in one way or another. Anyone who has experiences or ideas regarding the companies should feel free to share them in the comments below. It will help everyone grow and learn from those experiences.